Revofil Aquashine Soft Filler is an anti-wrinkle and skin rejuvenating filler composed of bioactive ingredients including hyaluronic acid, multi-vitamin and amino acids. 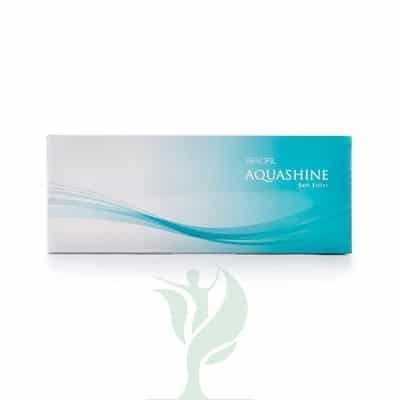 Aquashine Soft Filler reduce wrinkles and improve skin elasticity by generating new skin cells. 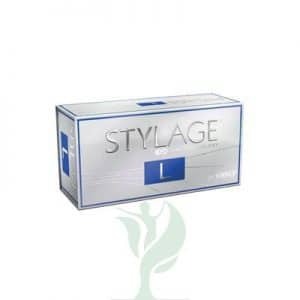 It revitalizes tired and dull skin by maximizing cell proliferation and reducing skin problems. Pure hyaluronic acid moisturizes skin and tightens pores. REVOFIL AQUASHINE SOFT FILLER is a combination dermal filler and mesotherapy injection that can help reduce wrinkles, improve skin elasticity, tighten pores, hydrate the skin, and revitalize the skin by helping generate new skin cells. This skin booster, made of non-cross-linked hyaluruonic acid and a skin rejuvenating complex with vitamins and amino acids. REVOFIL AQUASHINE SOFT FILLER contains hyaluronic acid, which helps fill wrinkles by absorbing moisture. This creates volume to support the skin, while hydrating the skin, reducing the appearance of wrinkles and folds. Other bioactive ingredients in this dermal filler include a variety of vitamins and minerals along with amino acids, which can help nourish the skin from within and strengthen connective tissue to improve skin elasticity. The peptides in REVOFIL AQUASHINE SOFT FILLER, including Oligopeptide-34, Acetyl Decapeptide-3, Oligopeptide-24, and Oligopeptide-72, help perform functions such as increasing elastin in the skin to improve skin elasticity. Together, the hyaluronic acid and rejuvenating complex in REVOFIL AQUASHINE SOFT FILLER help to rejuvenate the skin and reduce signs of aging.